For decades organizations have been suffocated by mediocre, personal-interest-driven, questionably competent leaders, creating unhealthy work environments and leaving employees frustrated and unmotivated, and the workplace unimpressive. For everyone who values an inspiring workplace, the 21st-century brought about a change in the overall business culture and attitudes towards all things work. Today’s high-performing leader empowers employees, and values healthy personal relationships, inclusion, and diversity. Respect and kindness matter to her, and they trump arrogance, ego and superiority. 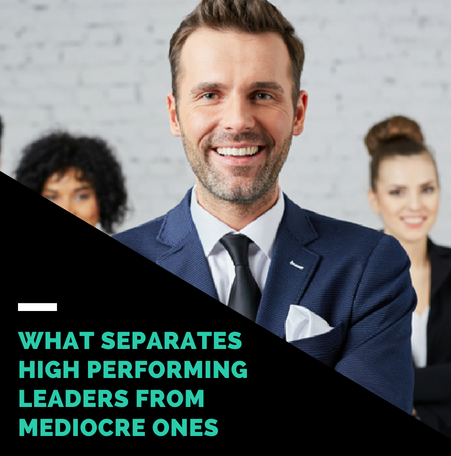 If you are an aspiring leader, or are already one, here are some things to keep in mind if you want to avoid being a mediocre leader. No one likes a smart a$$, especially not at the office. Instead of adopting the last-century-favored “I know this” attitude, try something more powerful like “do we know this?” when talking to your team. Take your employees’ suggestions, start a two-way conversation, and engage with the people you work with, instead of making them work for you. Everyone loves to be included in brainstorming and decision-making, and when your team starts feeling inspired by your knowledge, approach, and respect, you’ll get a team that functions like a well-oiled machine. The fact that you are a leader could mean you did something better than someone else. However, it could also mean someone in your team who hasn’t applied for the position is currently doing it better than you. One of the crucial elements of being a high-performing leader is staying modest and grounded. You want to observe your team as a chance to build something together, challenge and inspire each other, and learn to work as one. The more approachable and grounded you are, the more human you appear. And that means one thing: your people will treat you as a trusted leader instead of an annoying boss they hate. Take a lesson from John F.Kennedy and understand that "leadership and learning are indispensable to each other." The moment you stop learning is the time you consciously decide to end your journey to personal development, knowledge, and satisfaction. To be the best in your field, and a leader whose judgment, advice and decision employees trust, you need to have experience that backs up your decisions. Keep learning things relevant to the technical aspects of your role, and the leadership end of the stick. Becoming better never hurt anyone. Employees everywhere are fed up with bully bosses who conveniently take out their frustrations on them by exercising the weird amount of power they’ve been granted by their positions. A mindful, respectful and understanding approach to handling your employees will go a long way. Give them a reason to trust you and come to you, no matter how delicate the subject they want to initiate. Employees who are not afraid of their bosses are the employees that build the foundation of a thriving business. The most significant resource you’ll ever have are your people. Encourage their dreams, listen to their feedback, and be there to help them find a way (not necessarily your way). Empower everyone to give the best they can, and embrace innovation and freedom of expression as their primary business tools. Growth happens outside the comfort zone, and it requires leaders to practice before they preach. Push yourself to grow from your successes and your mistakes. If your actions inspire others to learn more, do more, dream more, and become more, consider yourself a great leader. Being a high-performing leader means being there for your people through the big stuff and the everyday challenges. Mediocre leaders pretend to have the answers and end up with bruised egos when they’re challenged. Superstars find comfort in not knowing it all but in surrounding themselves with great people who do. If you’re a superstar, you’ll accept that there will be times when you’ll be wrong or challenged, and learn how to navigate the roads on which you might not know the answers. Find inspiration in every team discussion, and respect varying perspectives. Be the type of leader your employees would want to work for if you ever decide to move.